Join in on a luvvly jubbly closing night special screening of the 1989 feature-length Christmas special of classic British comedy-gone-wrong. A typically tearaway Trotter’s treat! 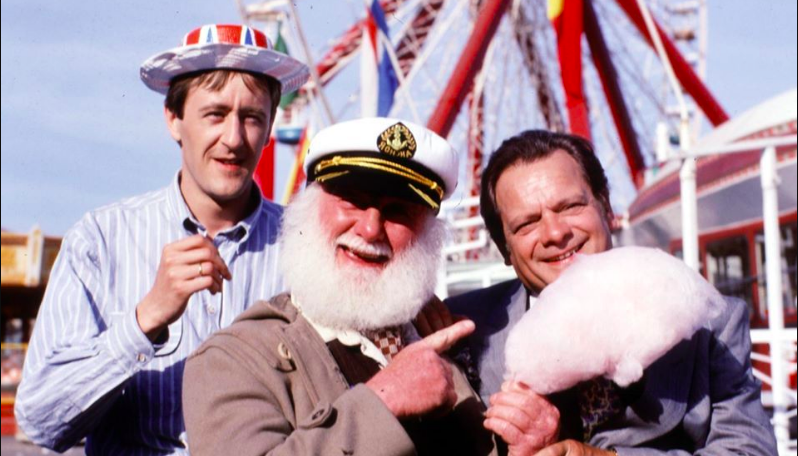 Del is organising the annual beano to Margate, the traditional Jolly Boys’ Outing. But Rodney and Cassandra have just celebrated their first wedding anniversary and she’s worried about him going out with the boys – especially as she’s angling for promotion with her yuppie boss. When Rodders is arrested and the whole party is stranded by a very nasty accident, her worst fears are realised. But there’s more to Margate than chips, cockles, ice-cream, doughnuts, Pina Colada and lobster vindaloo. There’s magician The Great Ramondo and his assistant Raquel.